I love this black and white photo. For this wedding, the bride had hired a small farm cottage a few miles from the wedding venue for their morning preparations. The bride and bridesmaids decided to do their own hair and makeup, meaning they had to rely on each other throughout all parts of the morning. 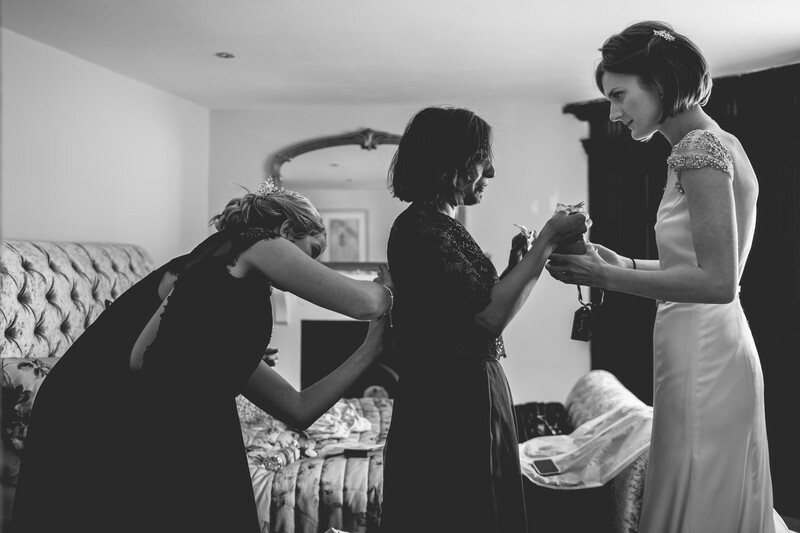 This closeness can easily be seen in this photograph - The bride is presenting her maid of honour a gift, who, at the same time, is having her dress tied by another bridesmaid. The surprise and emotion on the maid of honour's face really says it all. I really feel like black and white adds to this photo. When you want to focus in on the emotions of the day, removing colour from an image draws your eyes to the parts of the image that truly matter. 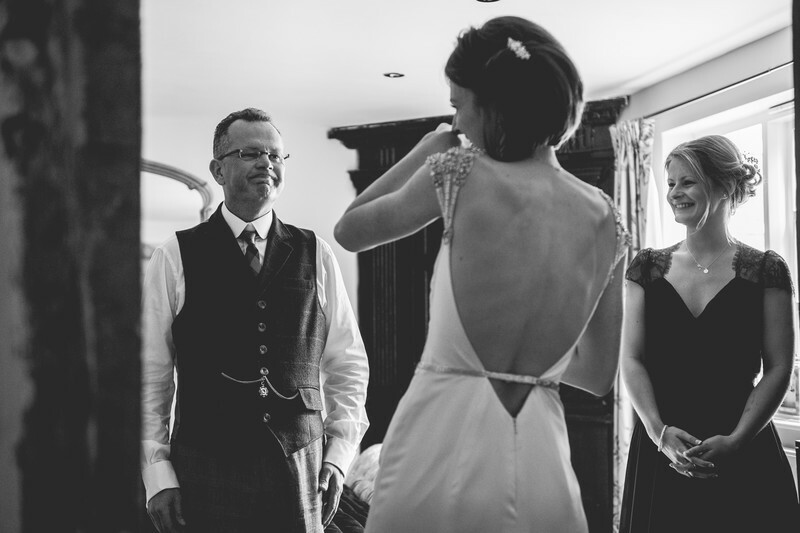 The cottage where the bridal party got ready in the morning lent itself well to black and white photography, and my documentary style of wedding photography meant that the day was allowed to progress at it's own rate, without anyone feeling pressured into posing for photos. This relaxed approach to wedding photography means that you can capture real reactions and emotions without people feeling the need to look into the camera all the time.